The operational structure of our multinational corporation is organised to optimise efficiency and, where possible, reduce the regulatory complexities of multiple jurisdictions across the world. At Atradius we continuously strive to optimise our organisation. 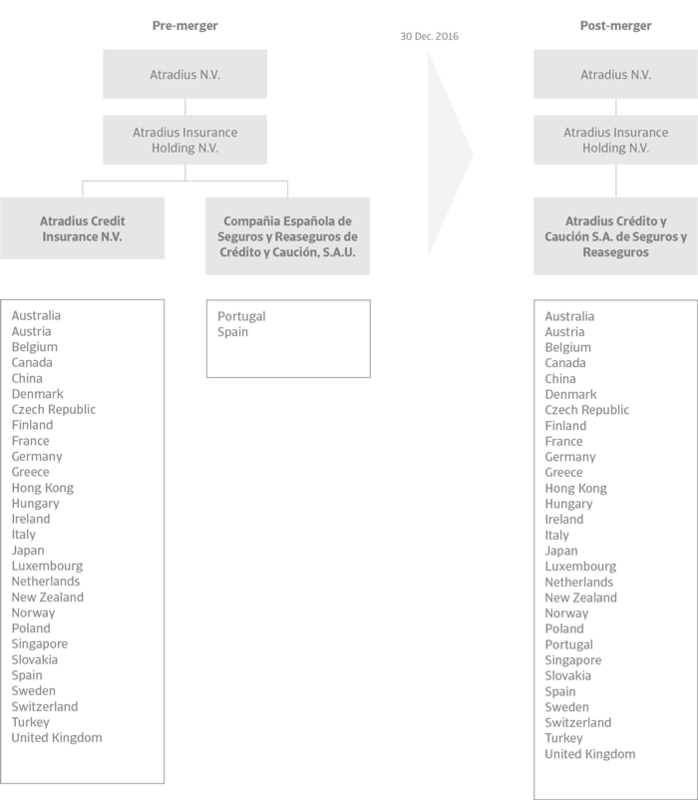 As part of this effort our holding company, Atradius Insurance Holding N.V. has approved our plans to merge our two European Credit Insurance subsidiaries, Atradius Credit Insurance N.V. and Compañía Española de Seguros y Reaseguros de Crédito y Caución, S.A.U. into one single legal entity. The integration, which is subject to various regulatory bodies approvals, is expected to be completed by the end of 2016. 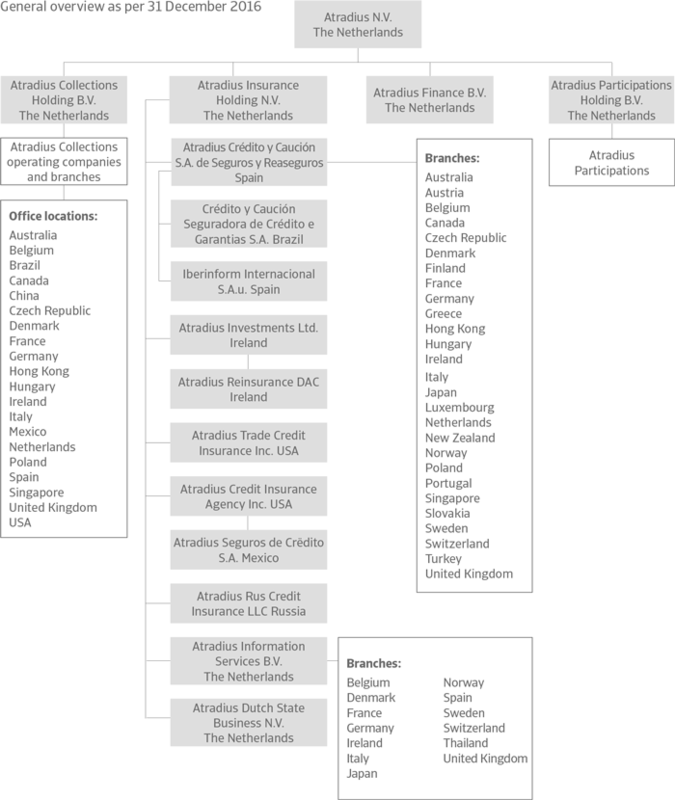 Once completed, Atradius N.V. will remain, just as it is now, the Dutch holding company of the international credit insurance, bonding, reinsurance, debt collection and information services companies across the world. The planned organisational structure will enable Atradius to reduce the complexities of having two European insurance carriers, different regulatory environments and dual governance frameworks, without impacting our successful business model or established brands. It will further improve the effectiveness of our value proposition of providing unrivalled customer service in the global Credit Insurance and Bonding markets.